"The only chance I see for at least a bullish September is if 1040 holds and we get a strong rally starting tomorrow." I think we can consider today's rally to be a strong rally lol : ). My guess is that this rally could last until mid September as long as 1040 holds. Why mid September? I'll explain that tomorrow. 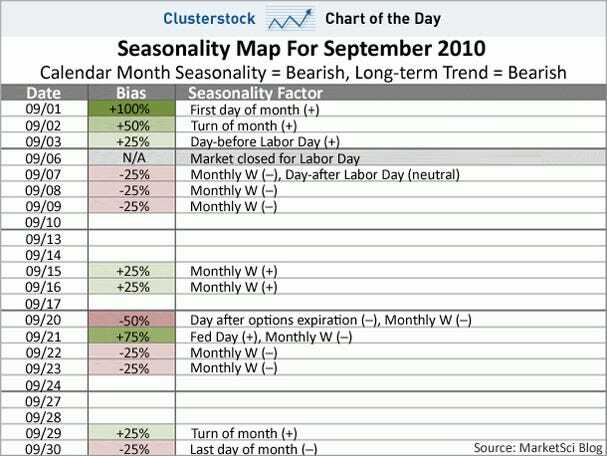 ; )"
One reason I mentioned mid September is my cylce which is up until then (12 September is the top). Another reason is that the wrong-way SPX traders are getting very bullish, read more on http://cotstimer.blogspot.com/. So, I expect a rally until mid September but how high? It's not a perfect 5 wave move down, it looks more like a three wave move, doesn't it? 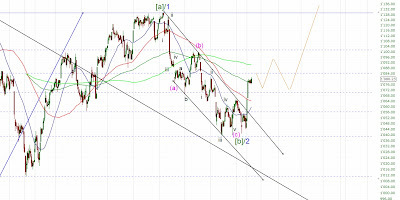 But it's possible to count it like that and the target for wave [ii] is around 1100. It's easier to count the move from 1130 to 1040 as three waves in my opinion. 1040 finished [b] or 2 and [c] or 3 is underway now with a target above 1130. = > To sum up, I think the rally lasts until mid September but how high it goes I don't know. Either 1080-1100 or 1130+, both is possible in my opinion. The condition for both scenarios is that 1040 holds, if it doesn't the SPX is likely going much much lower.